recommended for: For fans of Harry Potter, A Series of Unfortunate Events, The Graveyard Book by Neil Gaiman, or other whimsical middle grade fantasies. I had a lot of good feels for The Iron Trial. Yeah, it's a little Harry Potter-y, but in a way that feels more like a tribute than a plagiarism, with its own culture and magic system. Plus, it ended on a crazy revelation that had me hooked. 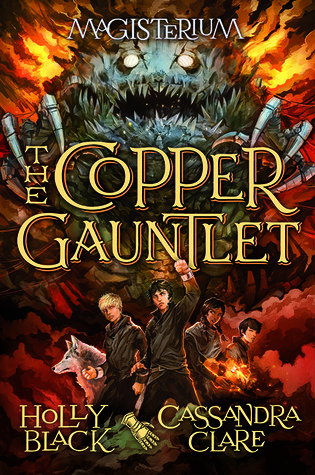 Happily, The Copper Gauntlet takes that brilliant plot twist and runs with it. The first half of the book is a little slow, with a lot of buildup and not as much substance as I'd like. However, the second half picks up the pace and delivers the same tension and excitement that I've come to expect from these authors. Besides, I automatically had to love it, because I love Call. He's basically me as a boy: awkward, anxious, insecure, but still whimsical. More oppositional than I was, of course. I felt very connected to him throughout. I only wish that we'd gotten more Tamara and Aaron in the first half, but they return with a vengeance in the second half and are such smart, competent, loyal friends. It's a feel-good read with more darkness than your average middle grade and another whirlwind of an ending. Like I said, Harry Potter. I'm not exactly ranking it up with the Holy Grail of children's books (forgive me, Most Beneficent Rowling! ), but there are striking similarities that make it perfect for a Potter fan, and enough differences for it to stand on its own. In book two, Call and his friends return to the Magisterium, a secret magic school housed in an underground cave system. Their power comes from the elements, and their skills have increased. And now there's Aaron, the Makar, the only mage apart from the Enemy who can control Chaos magic. There's less focus on the boarding school than in Iron Trial, which made me sad, but we still get whimsical moments of the trio eating lichens and practicing under the tutelage of the delightful grumpy Master Rufus. Truly, it's the characters that gives this book its heart. The aforementioned Rufus is one of my favorite curmudgeonly grandfatherly characters, but is also freaking scary when he wants to be. At the center of it is Call. Burdened by his terrible secret (shhh), he's an insecure wreck for a lot of the book, and I just wanted to hug him so badly. I love that he's sort of spiteful and irreverent. He's not the typical good-boy character, and that's great! His best friend, golden boy Aaron, gets some edge in this book. He's bound to a perilous sense of duty, and willing to throw himself into danger for it. Tamara is badass as usual, and also shows a softer side. The trio's friendship is such an important part of the plot. I loved watching the dynamics evolve, especially with the introduction of Jasper, highbred jerkface, into the circle. I adore Jasper. He's kind of whiny and annoying, but he's got a good heart. Plus, his witty battles with Call are hysterical. Black and Clare truly knock it out of the park with their humorous writing. Call's snappish insult contests with Jasper are just a part of it. Call's perspective is just naturally funny in a dry, clueless sort of way. His inner monologue is full of deadpan observations that had me giggling crazily to myself in the airport. There are also more overt moments of hilarity, particularly Call's entire internal battle over whether or not he's a good person. Would an evil person run away from home? Would an evil person wear blue trousers? His off-the-wall voice is so freaking endearing. Honestly, the main thing that made me less gushing over this than The Iron Trial is the first half. We start off well, with Call's father being sneaky and an emotional confrontation between the two in which Call's dad appears to be trying to kill him. Then we get some nice trio bonding time at Tamara's manor. But back at school, I felt the charming elements of the book dwindle. More of the story was happening in Call's head than outside of it. It was a lot of walks with Havoc and worrying, and much less interacting with friends and doing magic. There's the mystery of the missing Copper Gauntlet, but its placement in the story feels uneven. but it delivers an enchanting story full of surprises. Fortunately, Black and Clare amp it up in the second half once Call and his friends go rogue, determined to find the Gauntlet. 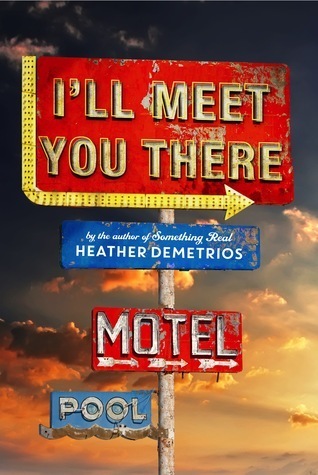 They embark on a delightfully funny road trip full of underage driving, giant scary monsters, Call and Jasper sniping at each other, and thrift store shopping. It's part Paper Towns for youngings, part magical escapade. And when they finally catch up with the Gauntlet's thief, the plot smacks you in the face with shocking twists, emotional confrontations, and a truly badass ending. The Copper Gauntlet is a funny, heartwarming follow-up to The Iron Trial. It starts slower than its predecessor, but makes up for it with fast-paced adventure and unexpected twists. will i read this author again? Yes, especially Holly. I haven't read nearly enough of her stuff. will i continue the series? Yep! They've got me hooked. I need to make sure this one stays on my radar. I enjoyed The Iron Trial (I like how you say its more of a tribute to HP than a copycat - I agree!) and after that ending I really do need to know what happens. Thanks for the heads up about the slow start! (Thanks!) Same with me, I had to know how it went. I think if you can get past the start, the book as a whole is well worth it.